At least 1 in 5 children today suffer sexual or physical abuse or severe physical or emotional neglect (NSPCC Report 2013). Depleted statutory services are unable to meet the needs of very many of these children. This is increasingly highlighted by Media reports of extreme self-harm, substance misuse and suicide. More skilled support is needed! Current Neuroscientific evidence has proven beyond question that emotional distress precludes learning and healthy development. Effective early intervention can change the brain, people's perceptions, resources and therefore lives, forever. Sharing therapeutic knowledge and strategies empowers young people and those who teach and care for them. Spiralling absence, illness and retention levels are testament to the high levels of stress in schools. Staff matter too! Healthy, happy staff result in healthy, happy young people achieving their potential. Counsellors who are recruited both for their specialised training and experience in engaging and working successfully with young people and for their personal qualities, including integrity, warmth and the capacity to also build trust and strong relationships with school staff and parents. A robust model of school-based counselling which includes all the supporting referral documentation, paperwork, information about counselling and safeguarding knowledge to inspire confidence and trust in staff, students and parents. Assessment using nationally used tools e.g. Young Person YP-CORE, to identify key individual needs and work efficiently towards positive change, while remaining flexible about the number of sessions needed for each person. On-going service evaluation processes which are both quantitative and qualitative and shared with school - to continue developing and maintaining the highest standards. 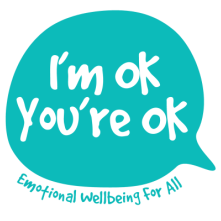 Wider pro-active well-being support through shared online and other resources, the option of staff and parent workshops, pastoral staff supervision and student well-being programmes, which help to increase general knowledge and skills to support well-being and build emotional resilience. A Head of Care who has worked in schools for 29 years and has a realistic understanding of school systems and empathy for the huge pressures on staff and students regarding time, communication and outcomes.